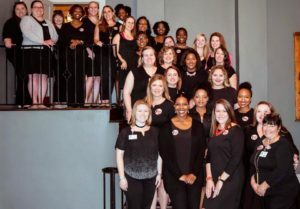 The Junior League of Savannah will be participating in the Little Black Dress Initiative (LBDI) on March 4 – 8, 2019. Throughout the week, LBDI Advocates will wear the same black outfit for five consecutive days to illustrate the effects poverty can have on a woman’s access to resources, her confidence, and professional opportunities. By wearing a button that reads “Ask me about my dress,” Advocates are invited to dialogue among colleagues, friends, and strangers to raise awareness about poverty. For questions regarding JLS LBDI or how to provide support, please contact Annual and Endowment Fund Chair Megan Stein at megstein04@gmail.com. 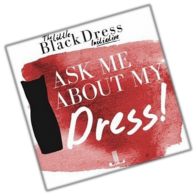 In February 2014, the Junior League of London pioneered the Little Black Dress Initiative (LBDI) with the goal to “make poverty unfashionable.” While their fellow Londoners were attending London Fashion Week, local Junior Leaguers were wearing the same black dress every day to work, parties, dinners, and events to raise funds and increase awareness of poverty in the city. The first campaign was so successful that they decided to take the initiative worldwide. To register as an Advocate, simply contact Annual and Endowment Fund Chair Megan Stein at megstein04@gmail.com; you will then be provided a registration packet. To support the Initiative, consider donating here. Do you own or are part of a business that may be interested in sponsoring the Initiative? Contact Fund Development Chair Vanessa Asterman atvmasterman77@yahoo.com.